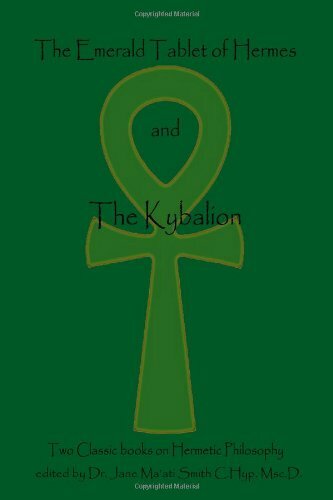 The Emerald Tablet, or the Emerald Table as it is frequently called is part of the Hermetica and is one of most revered magical documents in Western occultism. 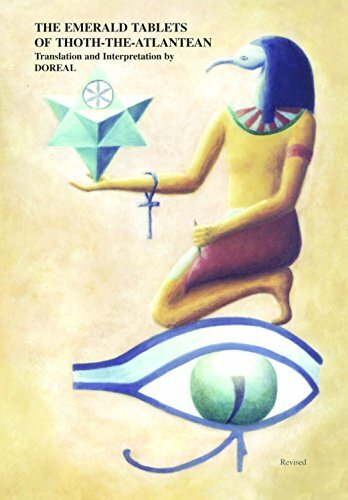 Hermes Trismegistus is portrayed in art as holding an emerald upon which he inscribed the entire Egyptian philosophy. 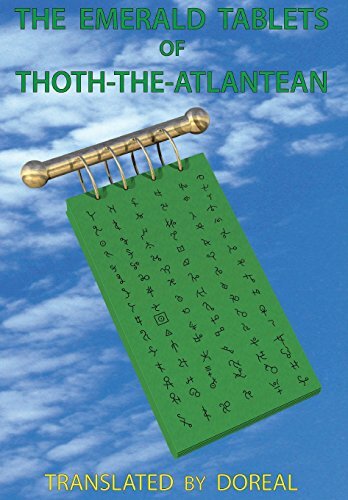 According to legend, The Emerald Tablet is said to have been discovered in a caved tomb, clutched in the hands of the corpse of Hermes Trismegistus. Legends differ on the discoverer. One says it was Sarah, the wife of Abraham. Another says it was Apollonius of Tyana. The stone is inscribed in Phoenician and revealed the magical secrets of the universe. A Latin translation of the Tablet came out by 1200, preceded by several Arabic versions. None of the translations are identical, and little on the Tablet appears to make sense. True, without falsehood, certain and most true, that which is above is the same as that which is below, and that which is below is the same as that which is above, for the performance of miracles of the One Thing. And as all things are from the One, by the meditation of One, so all things have their birth from this One Thing by adaptation. The Sun is its Father, the Moon its Mother, the Wind carries it in its belly, its nurse is the Earth. This is the Father of all perfection, or consummation of the whole world. Its power is integrating, if it be turned into earth. You shall separate the earth from the fire, the subtle from the gross, suavely, and with great ingenuity and skill. Your skillful work ascends from earth to heaven and descends to earth again, and receives the power of the superiors and of the inferiors. So thou hast the glory of the whole world–therefore let all obscurity flee from thee. This is the strong force of all forces, overcoming every subtle and penetrating every solid thing. So the world was created. Hence all were wonderful adaptations, of which this is the manner. Therefore I am called Hermes Trismegistus having the three parts of the philosophy of the whole world What I have to tell is completed concerning the Operation of the Sun. No definite meanings have been given to the cryptic utterances. But there are strong suggestions that this version of the Tablet indicates the belief in alchemy that there exists a correspondence or interaction between celestial and terrestrial affairs, and that all the manifold forms in which matter occurs have but a single origin. A universal soul or spirit permeates both macrocosm and microcosm, and such unity in diversity implies the possibility of transmutation. The Sun and Moon that are mentioned in the Tablet may represent gold and silver, as they usually do; but later this was regarded as a reference to sulphur and mercury. 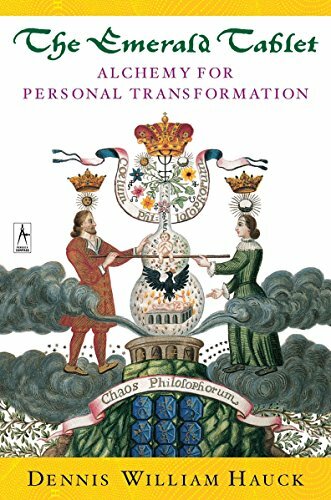 Alchemists generally attach their personal interpretation to the Tablet, so, if there is any agreement, it seems to be in the general consensus that the powers of the cosmic soul must somehow be concentrated in a solid, the philosopher’s stone or elixir, which would enable the production of the transmutation which the alchemists sought. Even though its meaning is dubious, the Emerald Tablet, also known as the Emerald Table or Tabula Smaragdina, is certainly one of the most ancient of alchemical documents. In legend the original form is supposed to have been found in a cave, inscribed on a plate of emerald held in the hands of the corpse of thrice-greatest Hermes, Hermes Trismegistus. In one legendary version Sara, the wife of Abraham, found the Tablet when she accidentally entered the cave near Hebron sometime long after the Flood. Other versions of the legends have Alexander the Great or Apollonius of Tyana the discoverers. 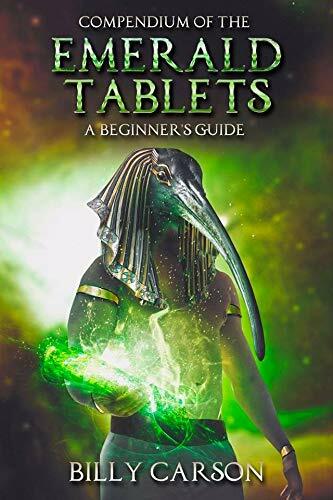 Not all can be explained, there are many unanswered questions concerning the origin of the Tablet. As to whether it goes back to Apollonius of Tyana,no answer is possible. The more general consensus is that it came to Islam from Syria rather than from Alexandra because the Arabian accounts of it discovery usually mention the Flood–Noah took it with him in the ark–and the Flood was not known in Egypt. A.G.H.